Explore the latest creations and quickly create your own with our new free extension for Google Chrome. We’re very excited to announce the release of our Chrome extension, available now on the Chrome web store! 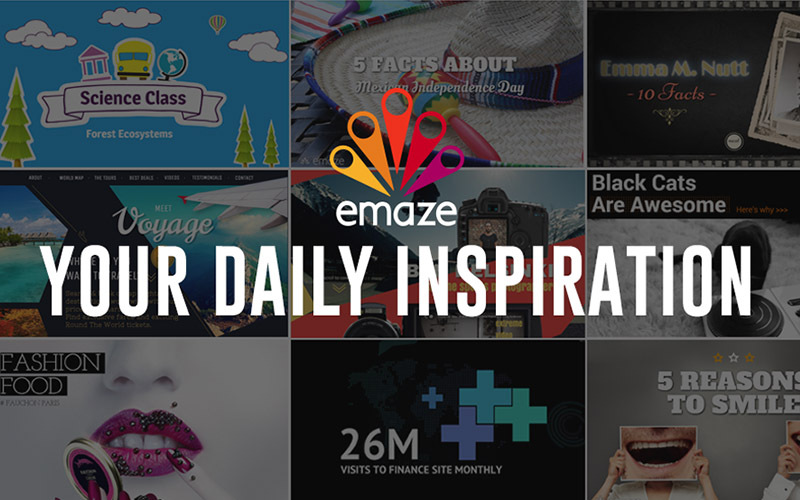 Now you can get your daily inspiration for presentations, websites, photo albums, ecards and blogs from the free Emaze Google Chrome extension. To install the extension, simply go to the Chrome web store and search for Emaze. From the Emaze page, click the blue button that says Add to Chrome. You will get a small pop-up box saying that the extension has been added to Chrome. Once it has been added, you will see a small Emaze icon at the top of your browser, and that is what you should click every time you want to use the extension! The free Emaze extension for Google Chrome is a convenient tool to install to a Google Chrome browser. The extension offers an easy way to quickly explore the latest projects created by Emaze users, and a shortcut to create your own Emaze project directly from your browser. Already being praised by users and reviewers as an unobtrusive, easy way to get inspiration for projects on every topic, the Emaze Chrome extension is simple, user-friendly and lets them get started on a new project right away without having to log into the Emaze website. Whether you are simply interested in learning about something new, or are looking for ideas for your new blog, the Emaze extension is constantly updating with the latest work for you to browse. The shortcut tool allows you to create a new Emaze project directly from your browser without having to go to the Emaze website- by clicking the shortcut button, you are automatically taken to log into your Emaze account. Have ideas for other tools and features you would like Emaze to add? We would love to hear them! Tweet to us at @emaze_tweets, send us a message on the Emaze Facebook page, or send us an email at info@emaze.com.